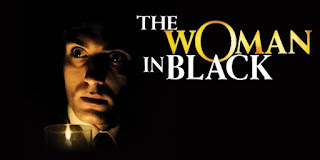 Celebrating its 27th anniversary in the West End this year, the unanimously acclaimed stage production of The Woman in Black embarks on a major tour from September 2016, opening at Lichfield Garrick Theatre, until the end June 2017, visiting more 30 theatres nationwide, including the King’s in Glasgow 17-21 January. So come along and see if you will survive the tale of a lawyer obsessed with a curse he believes has been cast over him and his family by the spectre of a Woman in Black. And to help tell his story, he enlists a young actor and exorcises the fear that grips his soul. It begins innocently enough, but as they delve further into his darkest memories, they find themselves caught up in a world of eerie marshes and moaning winds where the borders between make-believe and reality begin to blur and flesh begins to creep. The production’s huge popularity has reached a global level, having toured to the United States, South America, Tokyo and Singapore. In 2012, Susan Hill’s novel The Woman in Black was released as a major motion picture, starring Daniel Radcliffe, which became the highest grossing British horror film in 20 years. The sequel to that film, The Woman in Black 2: Angel Of Death, came out in 2014. The production is directed by Robin Herford, with designs by Michael Holt, lighting by Kevin Sleep and sound by Gareth Owen. The UK tour runs concurrently with the West End production. The touring cast will perform their roles at The Fortune Theatre in London from August 8-22. David Acton will play the role of Mr Kipps and The Actor will be played Matthew Spencer.